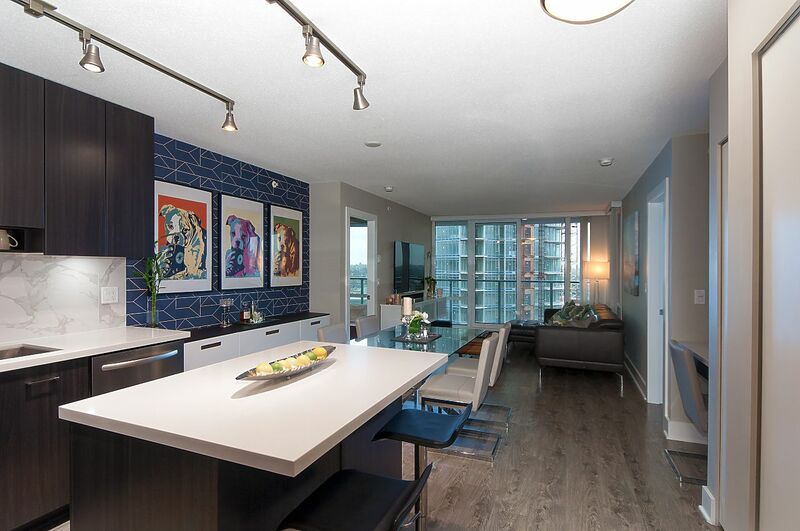 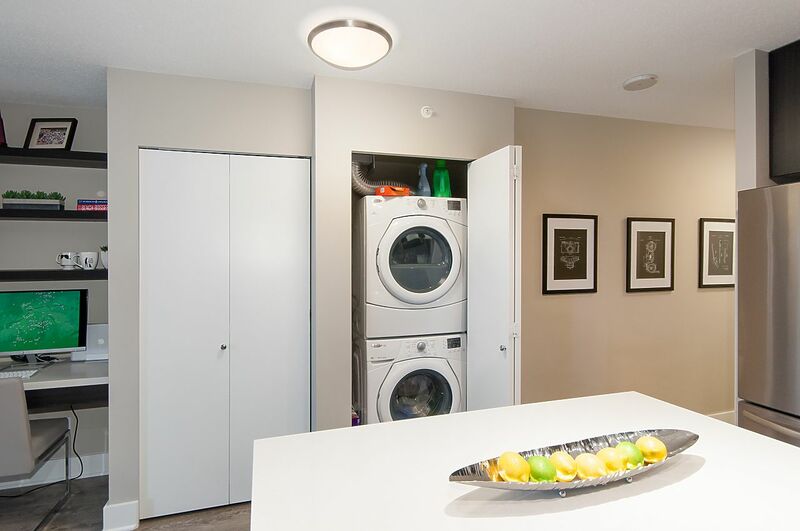 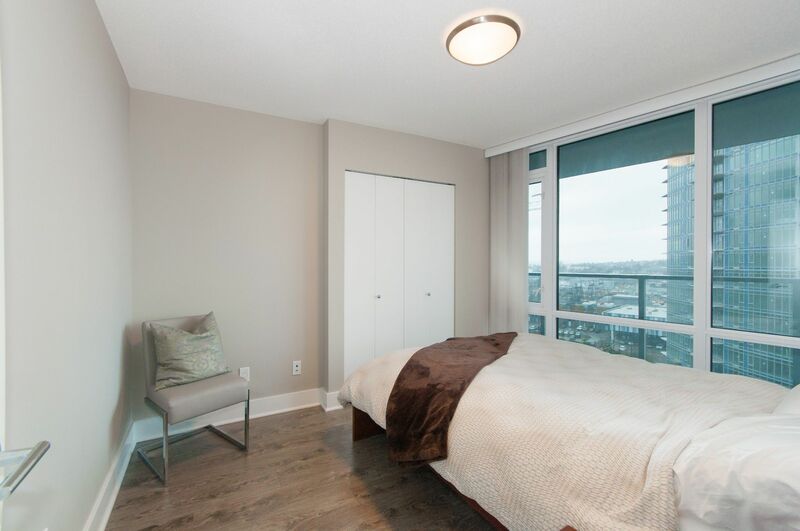 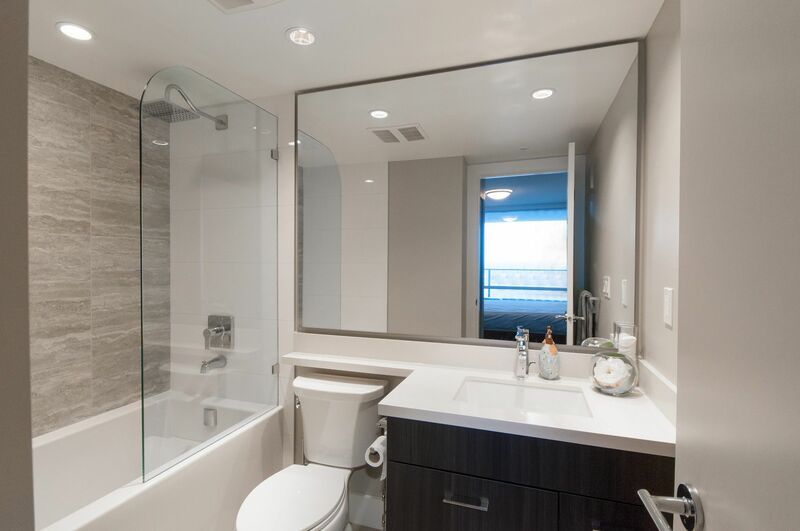 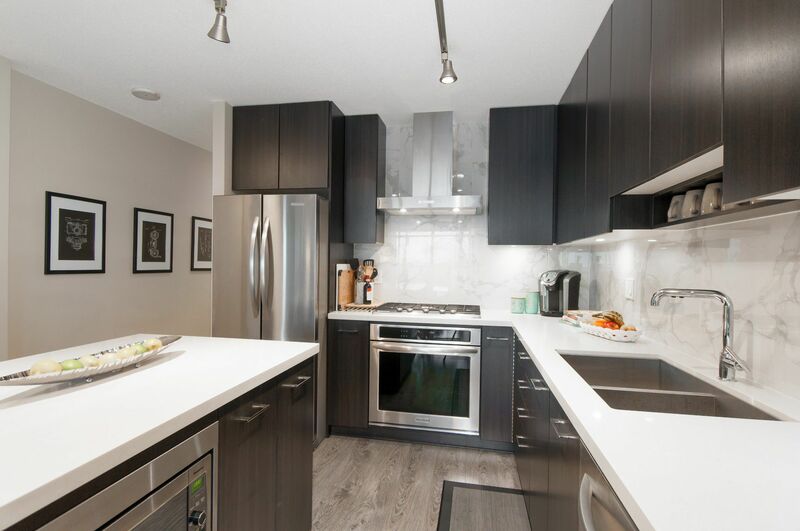 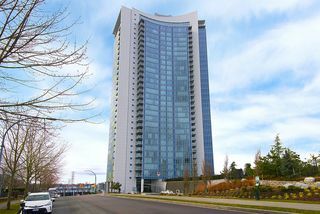 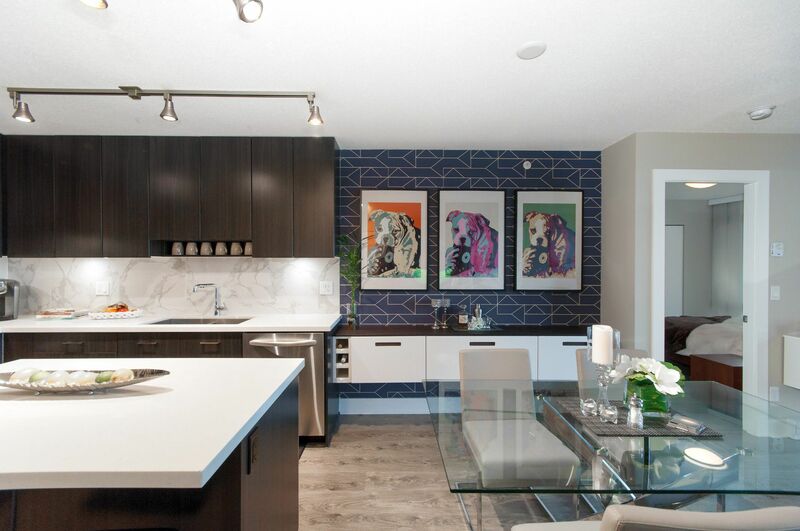 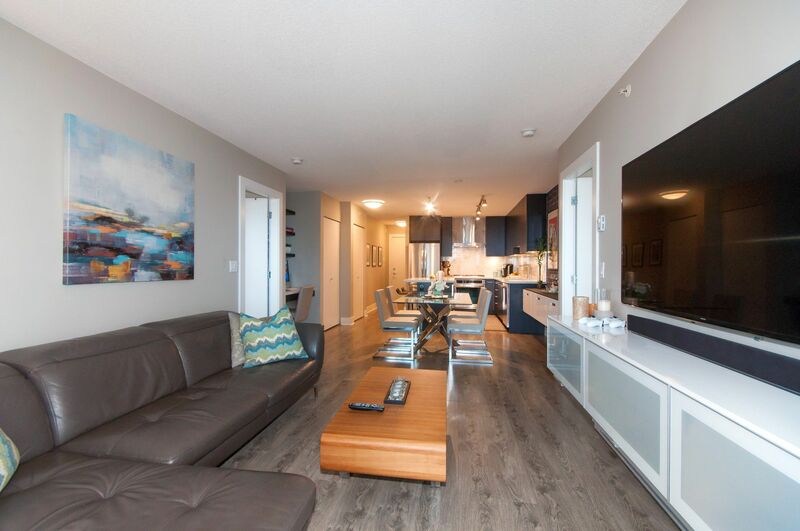 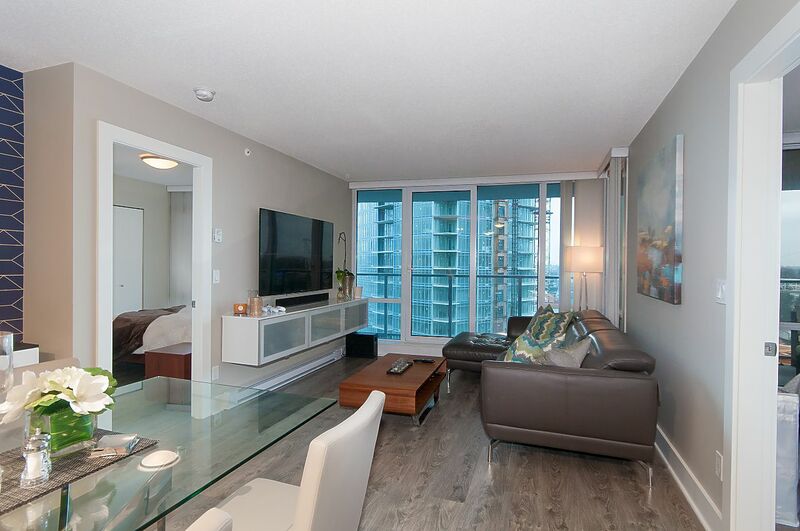 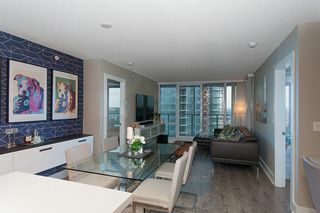 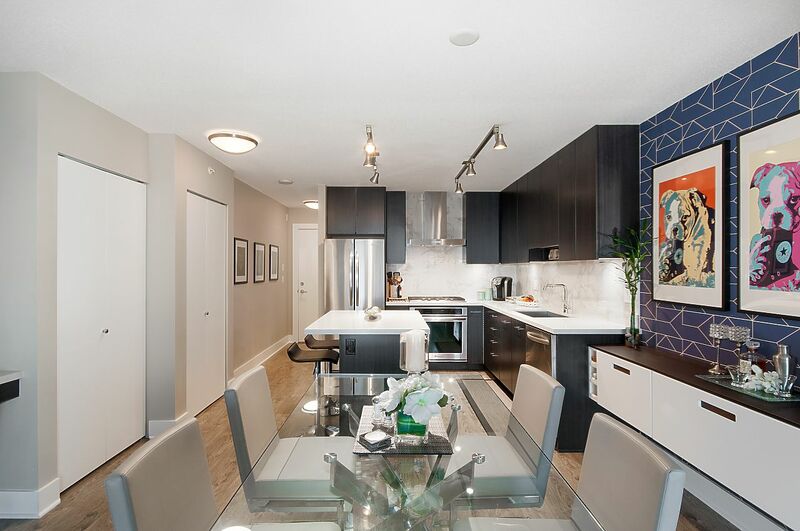 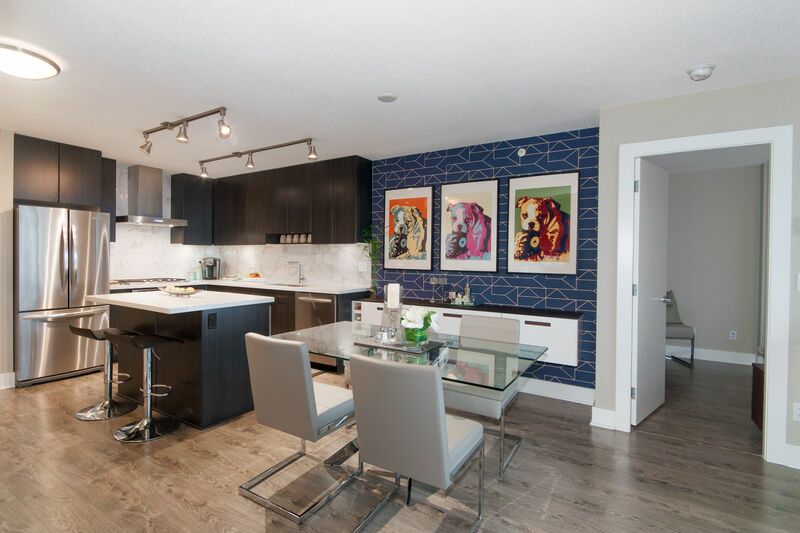 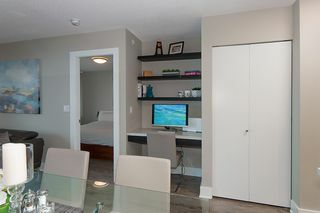 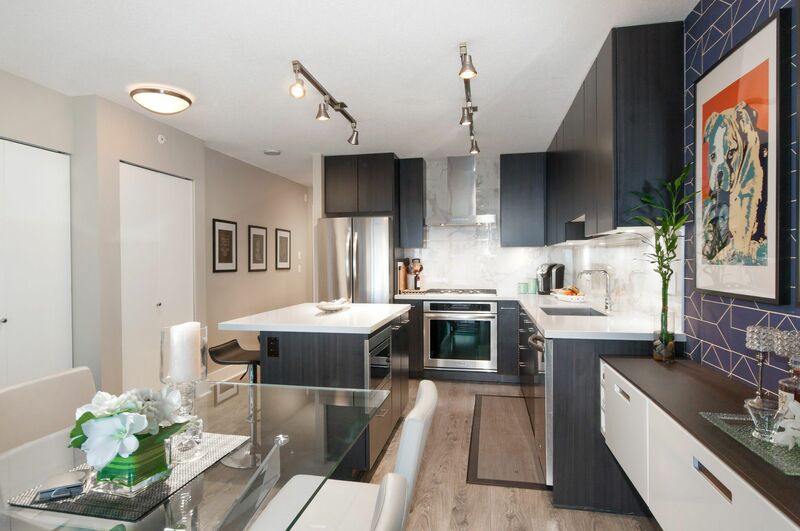 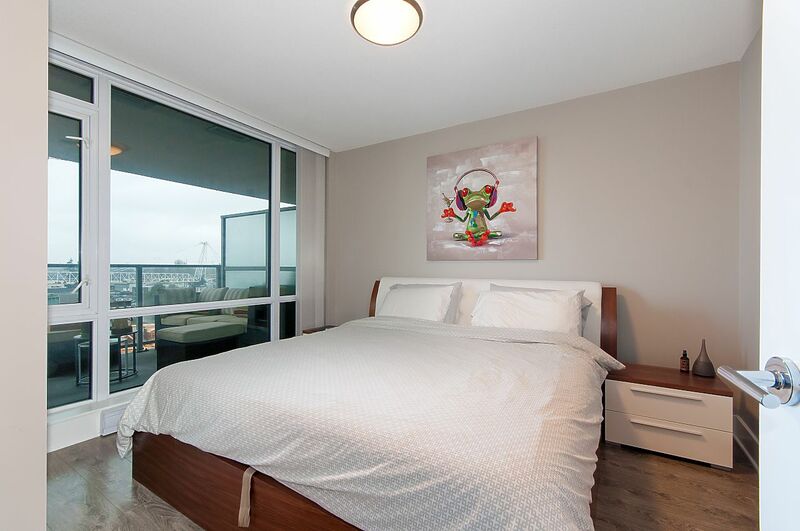 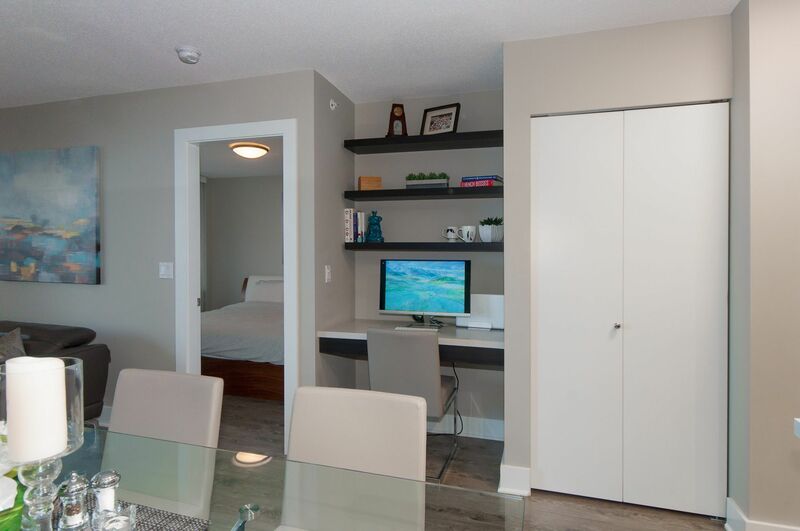 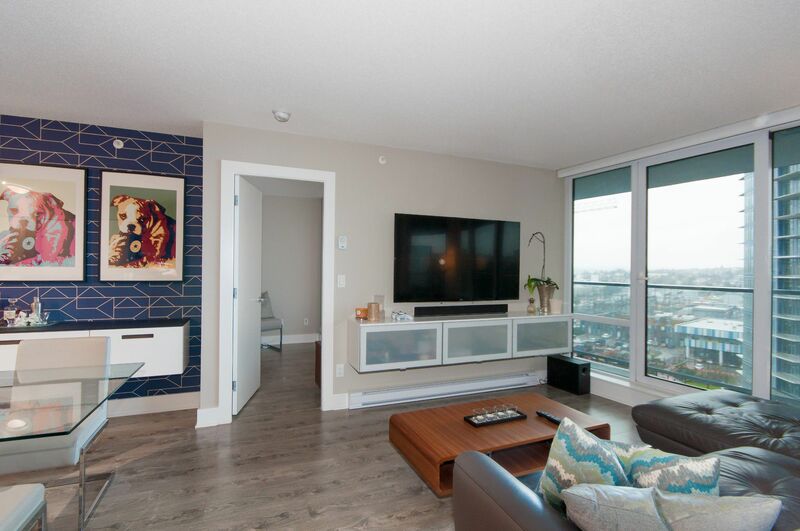 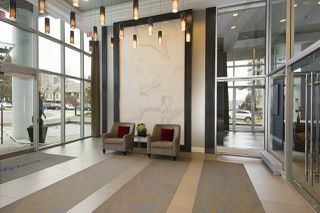 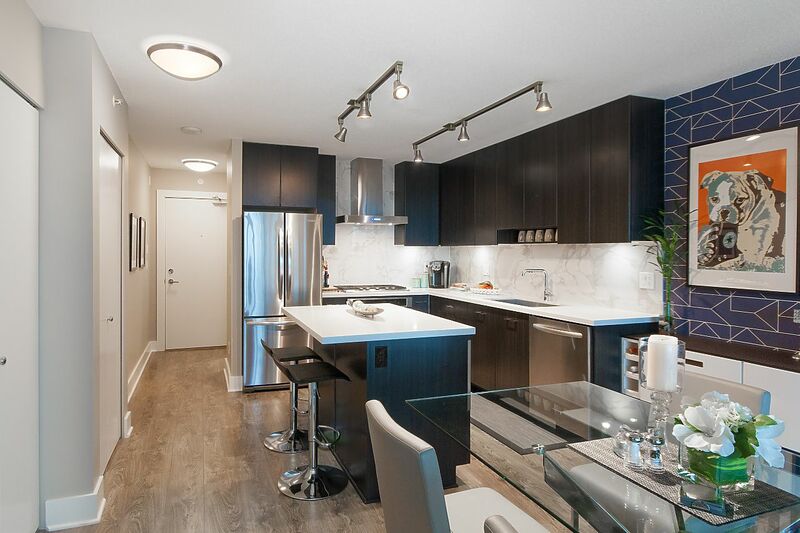 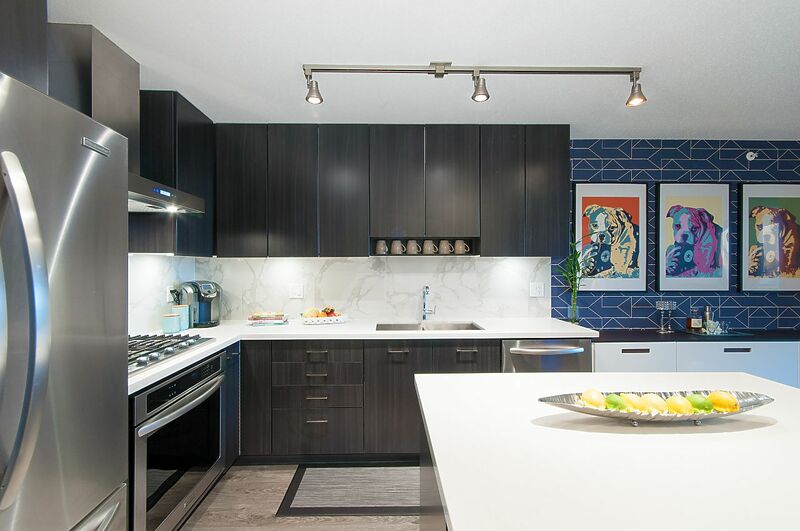 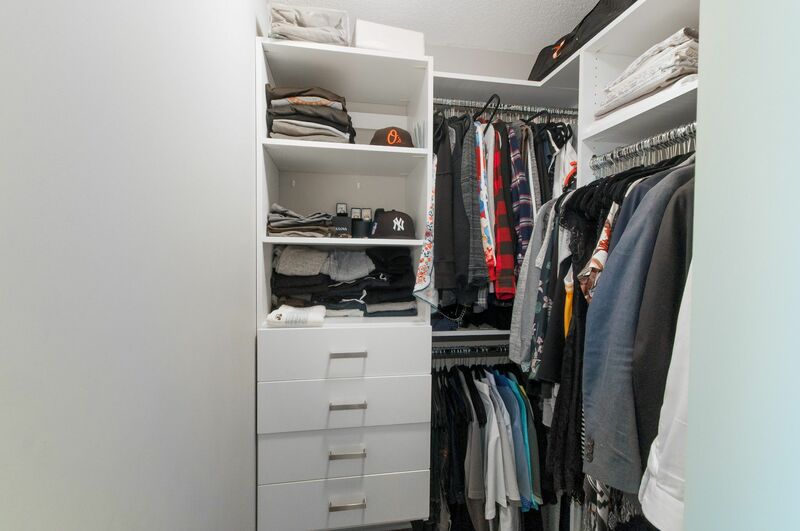 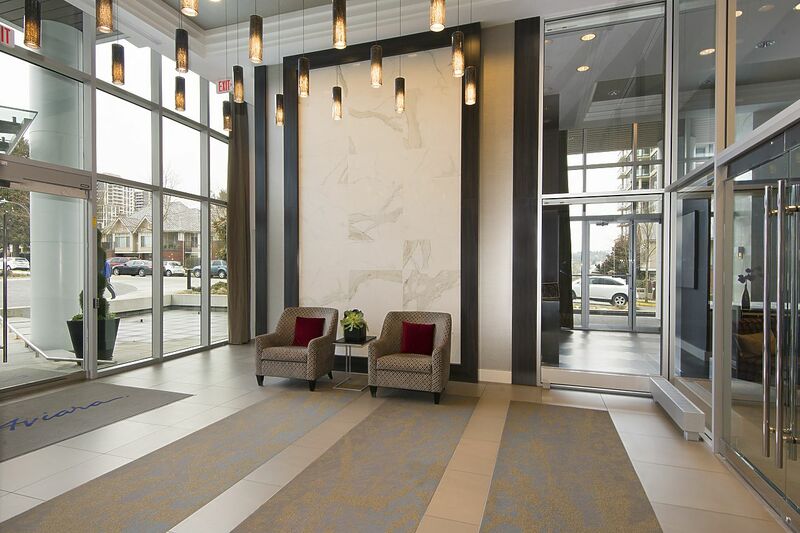 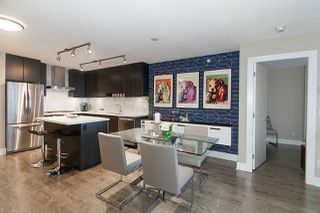 Sleek and modern meticulously kept suite in Bby's most desirable neighbourhood. 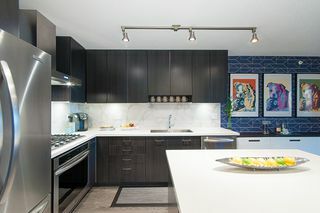 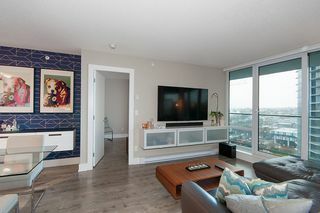 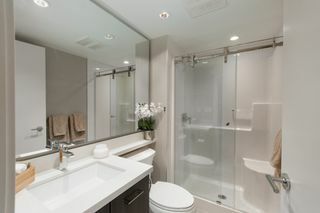 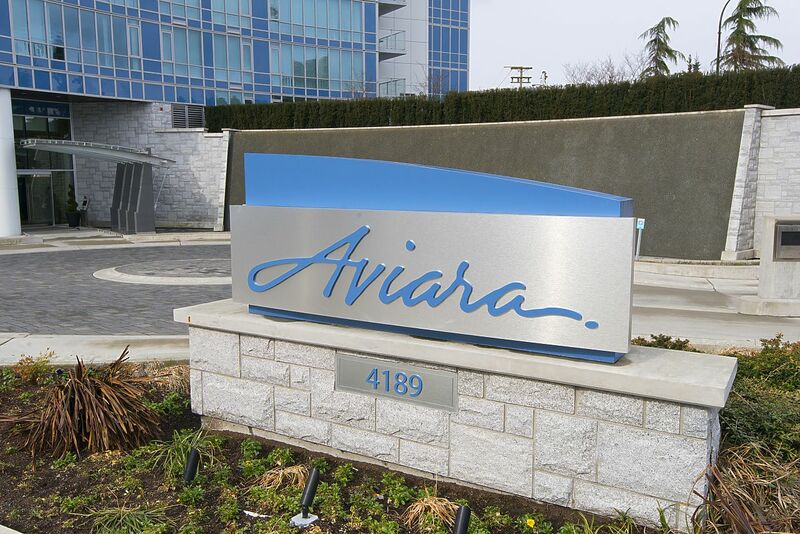 Show room quality 2 bdrm 2 bath in the heart of chic Brentwood Park. 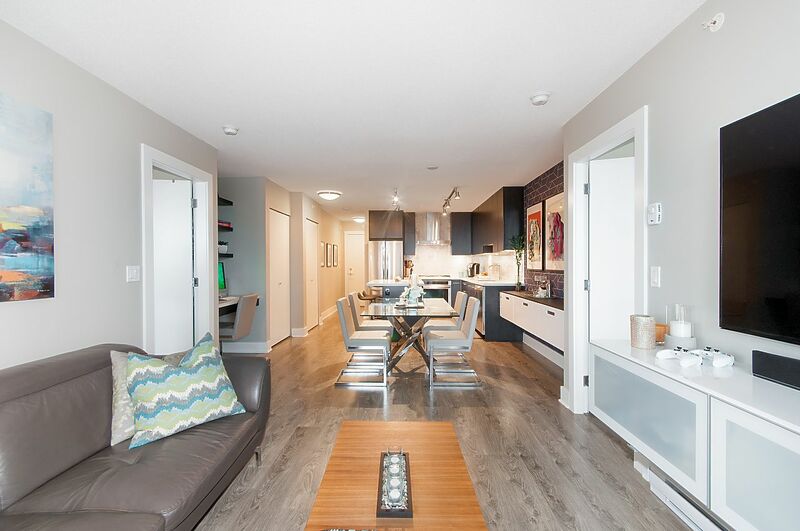 854 sq ft of exceptionally utilized space. Laminate flooring throughout including BOTH Bdrms, gourmet gas kitchen & top quality finishes, designer appliances and separate private bdrms. 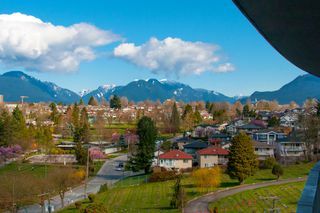 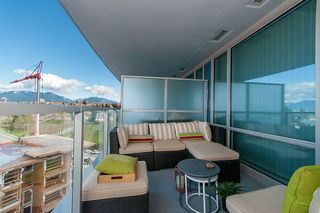 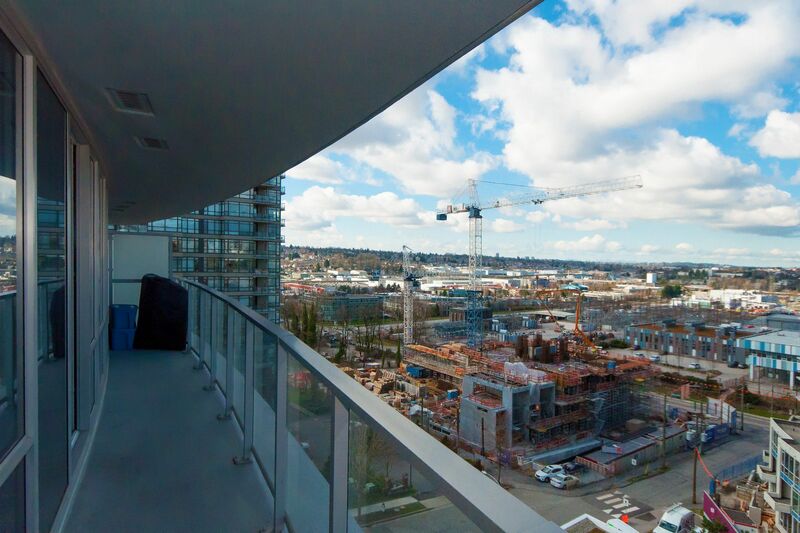 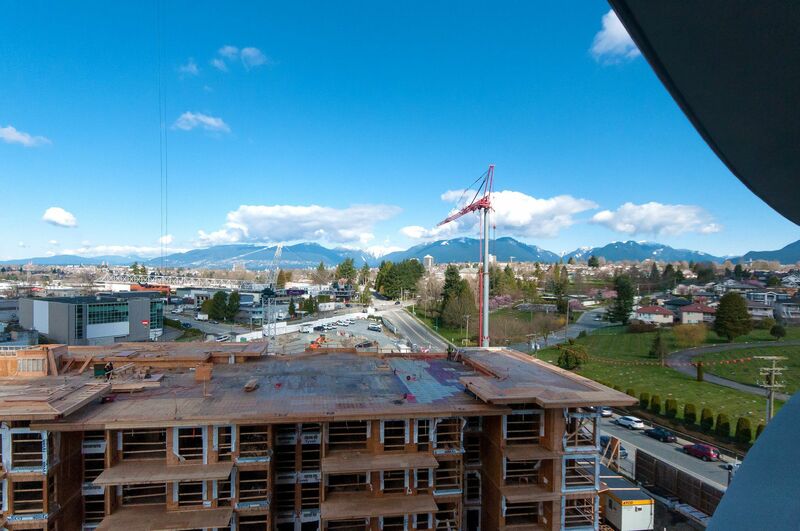 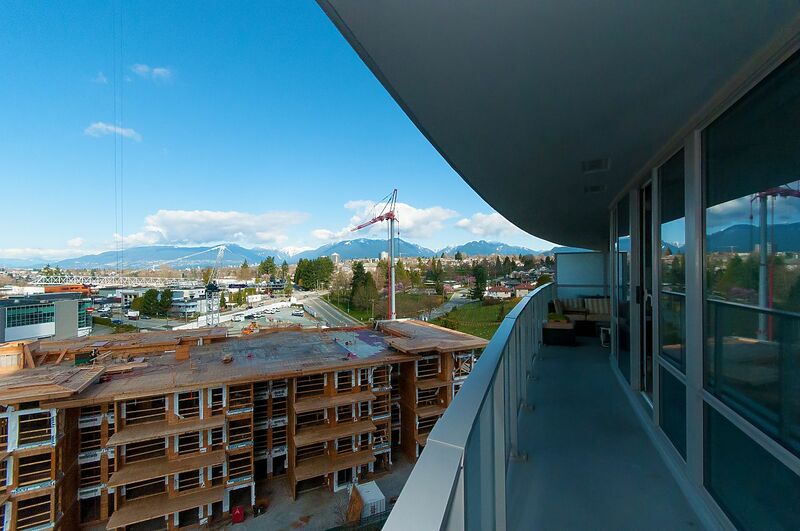 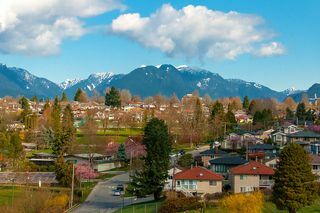 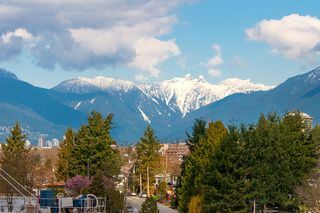 Enjoy the breathtaking downtown and mountain views from the private 150 sqft wrap around deck. 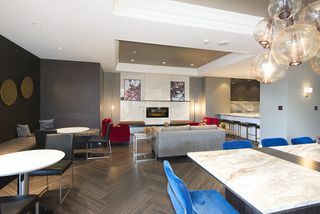 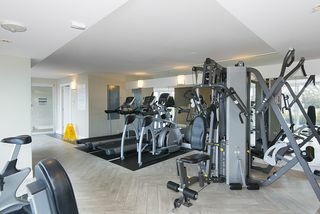 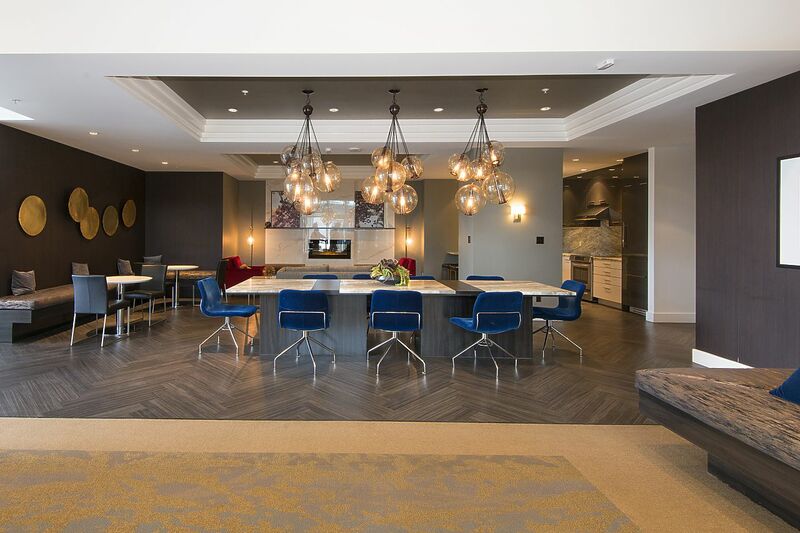 Fantastic amenities include a guest suite, fitness ctr, a cocktail bar style lounge w/kitchen, billiards table, and a sprawling terrace. 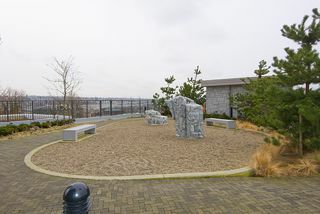 Amazing location, just steps to Gilmore Sta. 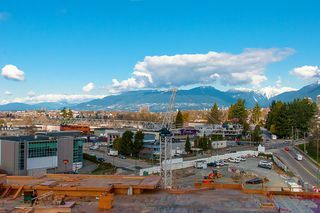 and the newly developing Brentwood Mall. BONUS: 2 side x side parking and storage locker!